You'll love trying these old fashioned Dutch dessert recipes. The Dutch people are world-famous for their rich, good-tasting desserts, and these wholesome treats from Grandma's international collection are no exception. You'll especially love the poffertjes, and the festive oliebollen. They are fun to make and absolutely delicious. 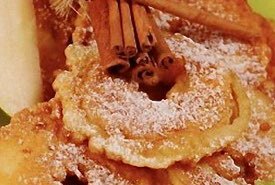 Whether it's the Dutch apple pudding, the Dutch flummery, cracknels, quark strudel, the authentic koekje, the rich-tasting poffertjes, or the oliebollen pictured above, these traditional treats make for mighty fine eating. 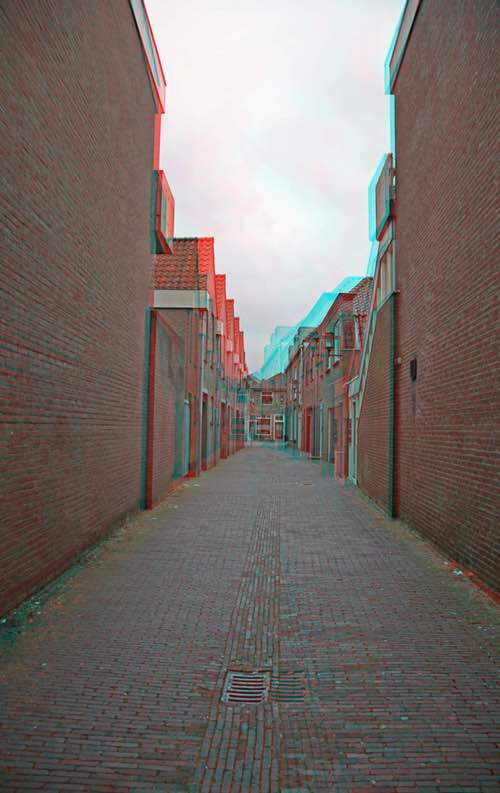 Like my Dutch friend Peter always says, "If it ain't Dutch, it ain't much!" Our Dutch neighbors gave us a gift of homemade Oliebollen at Christmas time one year, and we loved it so much that we found an old recipe in Mom's collection and learned how to make it. Believe me, you'll want to make it too! Oliebollen are a New Year's Eve tradition in the Netherlands. The small fried cake called an oliebol is typically about the size of a small apple. Some call it the traditional Dutch doughnut, and it does taste very much like the North American raised doughnut and was likely its inspiration. Oliebollen are most often made without fruit added, with their traditional coating of white powdered sugar and ground cinnamon. However, they can also be made with added raisins, currants, cranberries, chopped cherries, banana, and chopped apple. Citrus zest can also be added for flavor. 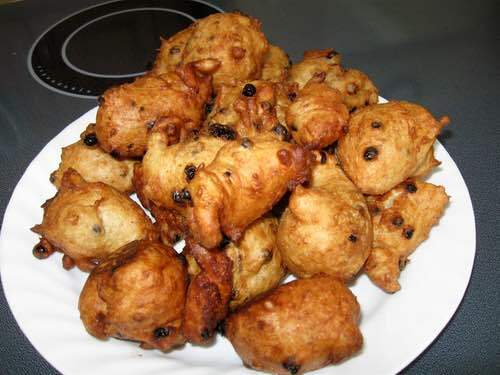 Once the oliebollen dough is prepared, it can be divided into two smaller bowls and 1/2 cup of fruit can be added to one of the bowls, if a choice is wanted. The following Dutch dessert recipe makes about 4 dozen. Dissolve 2 tablespoons sugar in 1 cup warm water, sprinkle yeast on top, and allow mixture to stand for about 10 minutes, while making the dough. Beat eggs in a large mixing bowl. Add scalded milk, 1-1/2 cups warm water, yeast mixture, and butter, then beat well. Add flour, 1 cup sugar, and salt, and mix until smooth. Add diced apple or raisins or currants, if desired. 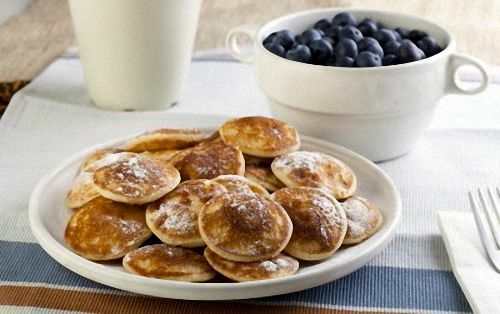 Mix 3 cups powdered sugar and cinnamon in a separate bowl and set aside for later. Add 3 to 4 inches of melted oil to a deep pan or to a deep fryer, heat to 350°F (180°C). If tiny bubbles form around a wooden spoon stood in the oil, the oil is ready for frying. Using a large soup spoon, scoop small balls of the dough, gently dropping them into the hot oil. Dipping the spoon into the hot oil first will help to prevent the dough from sticking to it. The balls of dough will instantly sink to the bottom then rise up to float on the surface of the oil. Watch and turn them so they brown evenly on all sides. Don't attempt to fry too many at a time, no more than 4 or 5, depending on the size of your pan, as the oil will cool and the balls will remain uncooked on the inside. 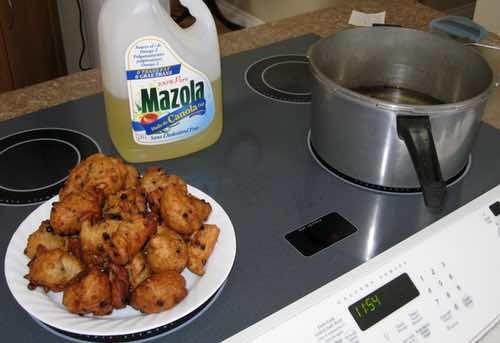 Once the dough has fried to a golden brown (about 6 to 10 minutes), remove from pot using a slotted spoon and allow the oiliebollen to drain on a tray lined with a clean tea towel or paper. 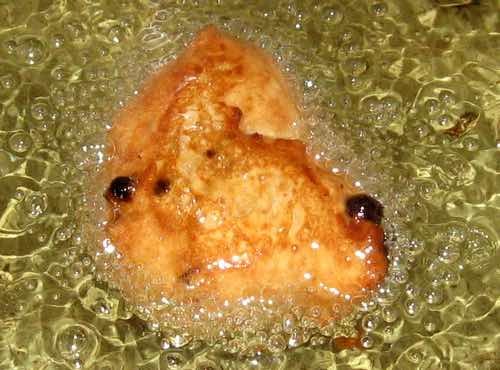 Continue frying as above until all the batter is used. Roll oiliebollen in the traditional cinnamon sugar mixture and serve warm when they're the freshest tasting. As mentioned earlier, this Dutch dessert recipe makes about 4 dozen. Allow to cool completely and store in airtight container for up to two days. Allow to cool completely and freeze in airtight container for up to ten weeks. Reheat stored oiliebollen in oven at 390°F (200°C) for about 15 minutes. To make this Dutch dessert recipe, position a strainer lined with a clean tea towel over a large mixing bowl. Pour the yoghurt into the tea towel, cover and place in the refrigerator. Allow the yoghurt drain for 6 hours, preferably overnight. After the yoghurt has drained, transfer it to a bowl. Cut the vanilla bean and scrape out the seeds. Mix the seeds in with the yoghurt to flavor it. Add sugar to the whipping cream and beat it until stiff peaks form, then carefully fold the yoghurt into the whipped cream. 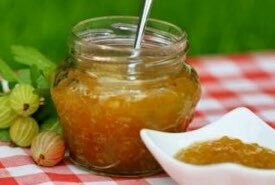 Top with nuts, fruit, or your favorite preserve and enjoy. The English word "cookie" is said to come from the Dutch word "koekje," which means little cake. Ingredients: 2 pounds of fine flour, 1-1/2 pounds of good brown sugar, 1/2 pound of butter, 1/4 pound of fat, 1/2 pound of almonds pounded, 2 eggs, 2 teaspoonfuls of baking soda, 2 teaspoonfuls of ground cloves, 2 teaspoonfuls of ground cinnamon, 1/4 pint of claret. Method: Rub the butter and fat into the flour, add the sugar, almonds, and spices. Dissolve the soda in a little warm water; beat the eggs, add the dissolved soda and wine to them, mix with the flour and knead well. Roll out thinly, stamp into small rounds, and bake gently until crisp. The Old Dutch people put a small piece of citron preserve in the center of each cake. Sufficient for 3 cakes. This Dutch dessert recipe is seasonable at any time. A classic South African recipe for teacakes. Enjoy een koekje bij de koffie! What are Schnitz? Schnitz are simply dried apple slices. Cover Schnitz with water and soak overnight. Add orange rind and juice and more water if necessary. Boil until soft, then put through colander and add sugar and cinnamon. Pour pie mixture into pastry lined shell, dot with butter, cover with top crust or lattice strips. Bake in hot oven (450°F) for 10 minutes. Reduce to 350°F and bake 30 minutes. Enjoy this traditional Dutch dessert recipe. Line pastry with 1-inch thick pieces of apples — about 2 layers thick. Over apple pieces spread crumbs of sugar, butter, and flour which have been combined. Sprinkle with cinnamon and dabs of sour cream. Bake in oven until apples are soft and golden. Serve slightly warm with cheddar cheese slices. Not a true Schnitz, nevertheless, very tasty and worth making when you haven't any dried apples handy. Ingredients: 1-1/2 oz of isinglass [gelatin], the rind and juice of 1 lemon, 1 pint of water, 4 eggs, 1 pint of sherry, Madeira, or raisin wine; sifted sugar to taste. Mode: Put the water, isinglass, and lemon rind into a lined saucepan, and simmer gently until the isinglass is dissolved; strain this into a basin, stir in the eggs, which should be well beaten, the lemon juice, which should be strained, and the wine; sweeten to taste with pounded sugar, mix all well together, pour it into a jug, set this jug in a saucepan of boiling water over the fire, and keep stirring it one way until it thickens; but take care that it does not boil. Strain it into a mold that has been oiled or laid in water for a short time, and put it in a cool place to set. A tablespoonful of brandy stirred in just before it is poured into the mold, improves the flavor of this dish: it is better if made the day before it is required for table. Sufficient to fill a quart mold. This old fashioned Dutch dessert recipe is seasonable to make at any time. Ingredients: 6 ounces of flour, 4 ounces of butter, 3 eggs, 1/2 pint of milk or water, about 1/2 pound of lard. Method: Boil the milk or water, then add the butter, stir the flour in gradually, and cook over the fire until it ceases to adhere to the stewpan or spoon. Turn onto a dish; when cool stir in the yolks of the eggs, beat stiffly, and add lightly the whites of the eggs. Heat the lard, put in the dough a teaspoonful at a time, fry gently until nicely browned, turning frequently meanwhile. Dredge liberally with fine sugar and serve hot. This Dutch dessert recipe makes a delicious apple pudding that's as easy as pie to make. Ingredients: One pint of flour, one teaspoonful of cream of tartar, half a teaspoonful of soda, half a teaspoonful of salt, an egg, a generous two-thirds of a cupful of milk, two tablespoonfuls of butter, four large apples. Mix the salt, soda, and cream of tartar with the flour, and rub through the sieve. Beat the egg light, and add the milk. Rub the butter into the flour. Pour the milk and egg on this, and mix quickly and thoroughly. Spread the dough about half an inch deep on a buttered baking pan. Have the apples pared, cored, and cut into eighths. Stick these pieces in rows into the dough. Sprinkle with two tablespoonfuls of sugar. Bake in a quick oven for about twenty-five minutes. This pudding is to be eaten with sugar and cream or a simple sauce. 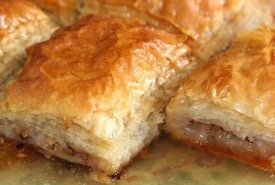 This Dutch dessert recipe makes a delicious quark strudel, and the addition of Dutch cheese makes it taste extra special. Take about one pint of flour, sift it into a bowl, make a hole in the center of the flour, pour in it gradually one cup of lukewarm water, a pinch of salt, and a spoonful of butter or goose fat. Stir this slowly, making a nice smooth dough of it and adding a little more flour if necessary. Cover up the dough and set it in a warm place. Let it rest until you have prepared the cheese. Take half a pound of cheese, rub it through a coarse sieve or colander, add salt, the yolks of two eggs and one whole egg, and sweeten to taste. Add the grated peel of one lemon, two ounces of sweet almonds, and about four bitter ones, blanched and pounded, four ounces of sultana raisins and a little citron chopped finely. Now cover your kitchen table with a clean tablecloth, sift flour all over it and roll out your dough as thin as possible. Now use your hands, placing them under the rolled dough and stretch it gently, very gently, so as not to tear it, walking all around the table as you do this, to get it even and thin as tissue paper. Pour a few tablespoonfuls of melted butter or goose oil over the dough; spread the cheese. Now take hold of the tablecloth with both hands about a yard apart, and begin to roll the strudel (it will roll itself almost — just lift the cloth high enough). Now butter or grease a large cake pan, hold it up to the edge of the table and dump in the strudel. Bake a nice brown, basting with sweet cream. Peel and chop apples; mix with 1/2 cup of nuts, raisins, the juice and rind of 1/2 lemon and 1 tablespoonful of brandy. Then add the yolks of 4 eggs and the whites beaten to a stiff froth. Let bake in a moderate oven until done. Serve cold. Take 1 cup of boiled rice and mix with 3 beaten eggs. Then sift 1/2 cup of flour with 1 teaspoonful of baking powder and a pinch of salt. Add some sugar to taste. Beat to a light thick batter and fry a spoonful at a time in boiling lard. Sprinkle with pulverized sugar and serve hot with cooked fruit. Make a soft biscuit dough; then put on a well-floured baking board and roll out one-half inch thick. Sprinkle with sugar, cinnamon, and grated lemon peel, and pour over some melted butter. Then roll up the dough and cut into inch thick slices; lay in a well-buttered baking pan and let bake in a hot oven until done. Mix 1 cup of rice in 2 cups of milk; add 1 tablespoonful of butter, the yolks of 4 eggs, the juice of 1/2 lemon, 1 cup of sugar, and nutmeg to taste, 1/2 cup of chopped raisins, 1/2 cup of nuts, and the whites of the eggs beaten to a stiff froth. Bake in a well-buttered pudding dish until done. Serve cold. My Scottish grandmother made a pudding almost identical to this traditional Dutch dessert recipe, and it was one of my favorites though I'm not a big fan of prunes. This one too is delicious. Boil prunes until very soft; remove the stones. Mash well; add the yolks of 4 beaten eggs, 3 tablespoonfuls of sugar, 1 cup of breadcrumbs, 1 teaspoonful of vanilla, 1/2 cup of chopped nuts, and the whites of the eggs beaten stiff. Put in a well-buttered pudding dish and bake in a moderate oven until done. Serve cold. Rub six ounces of butter into three pounds and a half of flour — make a hole, and put in six ounces of powdered loaf sugar — wet up with eight eggs and a quarter of a pint of water — break your dough smooth; make them and dock them like a captain's biscuit — form them on your reel; drop them into a stewpan of water boiling over the fire — when they swim take them out with a skimmer, and put them into a pailful of cold water; let them remain full two hours before you bake them — you may drain them in a cloth or in a sieve — bake them on clean tins in a brisk oven, or on the bottom of the oven. The instruction to "dock them like a captain's biscuit" means to punch tiny holes into the biscuit dough so they will become light and crisp when baked. A fork can be used for this purpose, but the old bakers used a tool called a "biscuit dock" or "docker" consisting of a wooden handle attached to a stamp containing numerous spikes arranged in a pattern. The instruction "form them on your reel" simply means to shape the biscuits on your baking pan. A "reel oven" was a nineteenth-century baker's oven containing bread pans suspended from a "revolving reel" that automated the baking process; they were sometimes called carousel ovens and were invented by Hosea Ball. Make a paste by working three-fourths pound of butter into one pound of flour, with three-fourths pound of light brown sugar, one egg, one teaspoon of cinnamon, and a pinch of salt. Next mix one-half pound of finely chopped citron peel with one-half pound of ground almonds, and three ounces of butter. Then flavor with one-half teaspoon of vanilla and bind with the yolks of two eggs. Roll out the dough and divide into two parts. Place one half on a well-buttered flat pan and spread the mixture over it and cover with the other half of the paste. Brush with beaten egg, sprinkle with poppy seed, and bake in a moderately quick oven for one-half hour. When done let cool and then cut into square or oblong pieces. The butter cakes may also be made of one layer of dough sprinkled with citron and almonds and some poppy seed.